US funereal doom here from Wraith of the Ropes. 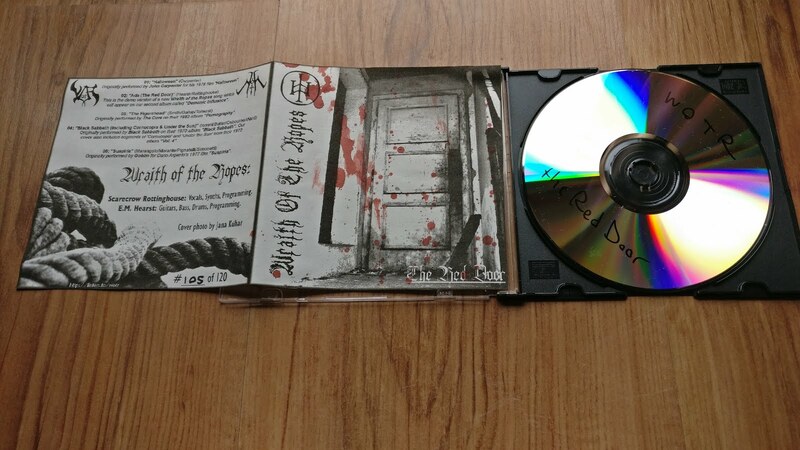 'Ada' was their only full length album and is still pretty widely available, but also featured here is the free EP 'The Red Door' which was sent out to customers who ordered directly from the band, on self released CD-r, hand numbered, blood spattered and limited to 120 copies. The EP has a different tone to their album, featuring covers from Black Sabbath & The Cure, as well as their own versions of the Halloween theme and Suspiria by Goblin. 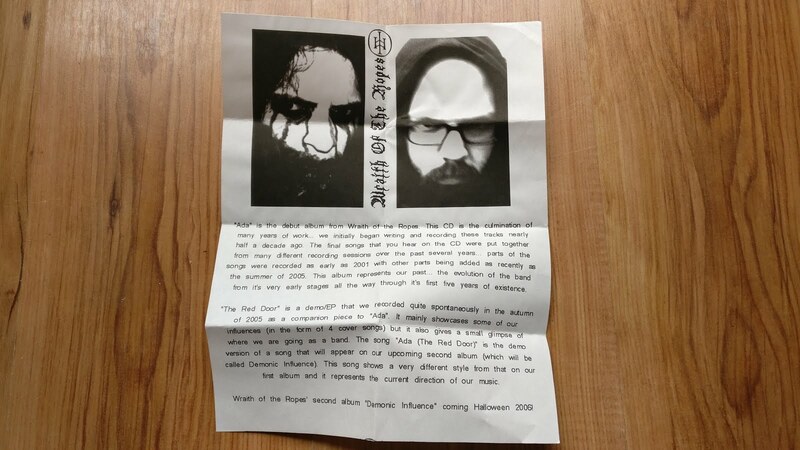 I kept the promo sheet that was sent with it, where there's talk of their next album 'Demonic Influence'. To date - over 10 years later, it has still yet to materialise; the status of the band is pretty much unknown.